Olympia School District proudly announces the Olympia High School Hall of Fame Class of 2018 inductees! These distinguished individuals will be introduced at half-time of the boys’ basketball game on Saturday, Feb. 3, 2018, at Olympia High School. In coordination with and the Pack the Place Night and FFA Silent Auction. Olympia fans are encouraged to give a warm return welcome to our distinguished alumni as the boys compete against Flanagan Cornell High School – The varsity game will begin at approximately 7:30 p.m.
A 1998 Olympia graduate, Timothy Limer was active in a variety of activities. Upon graduation, He attended the Conservatory of Recording Arts and Sciences. Mr. Limer graduated master recording program II – studied Audio Engineering, record production, film and television post production. Timothy was awarded an internship with a post-production facility in Los Angeles, CA and is a member of the CRAS Chapter of the Audio Engineering Society (AES). Mr. Limer has 136 feature film and television credits, including The Revenant: nominated for the Academy Award for Best Sound and 12 Years a Slave: winner of the Academy Award for Best Picture. He is currently employed as a sound mix technician at Universal Post Production, Universal Studios, Universal City, CA. Darren Nichols is a 1984 graduate of Olympia High School. While attending Olympia, Darren participated in a variety of activities. He earned all-conference recognition in football and basketball as well as a conference championship in the 800 meters and Pole Vault. Darren earn the 2nd place medal at the IHSA Class AA State Championship in the Pole Vault in 1984. Mr. Nichols then went on to compete at Illinois State University in Track and Field. He was a 4x Missouri Valley Conference Champion, indoor and outdoor record holder for 27 years, team member of the first Illinois State indoor team championship – 1985, 1986, 1987 – team member of the first Illinois State outdoor team championship – 1985, 1986. Darren earned his degree from Illinois State in the College of Applied Science and Technology and a MBA degree from Lake Forest Graduate School of Management. Les Myers is a 1973 graduate of Olympia High School. Les graduated with distinction in English from the University of Illinois in 1977. He earned varsity letters in Cross Country and Track and Field while at Illinois. Les was a team member on the 5th place team at the NCAA Division One Cross Country Championship in 1976 and won Big Ten Track and Field Team Championship titles in 1975 and 1977. As an individual, Les placed 15th in the Big Ten Cross Country meet in 1976, 13th place in NCAA District IV in 1976. Les was also the winner of the 1983 St. Louis Marathon. He currently teaches at the International Institute of St. Louis, a refugee resettlement agency. A 2002 graduate of Olympia High School, Nathan Thompson was involved in numerous activities. He was a member of the concert band, marching band, jazz band, pep band, Madrigals, drama, tech crew, chess team, and National Honor Society. Nathan then attended the University of Illinois, graduating in 2006. He has received numerous awards in his professional career. Nathan is a 19X Emmy Award winner, 2012 National Press Photographer Association’s Television News Photographer of the Year and 2x Edward R. Murrow Award Winner. Nathan also spent time embedded as a war journalist in Afghanistan with the 101st Airborne Division. He currently is the Owner/Creative Director of Contrast Visuals. This amazing team set all-time records for Olympia that still stand. The Olympia Girls’ final record was 23-3. The 1991-92 Lady Spartans led off the season with a 17-0 win streak. The Olympia Girls were Corn Belt Champions for the second straight year and AA Regional champions beating Normal Community on our home court 64-55. After beating Springfield in the first game 56-49, the girls advanced to the sectional AA championship game losing by only 5 to Bloomington. The Olympia Girls’ rarely had a close game, beating most opponents by 20 or more. The team’s talent and depth was outstanding, with truly sixteen quality players. 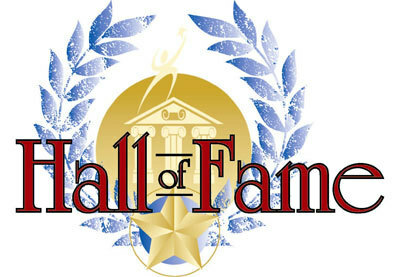 We look forward to the Hall of Fame Banquet at 5:00 p.m. on Sunday, May 6, at Olympia High School where each candidate will be recognized and honored for their contributions to Olympia High School, as well as, accomplishments post-graduation.